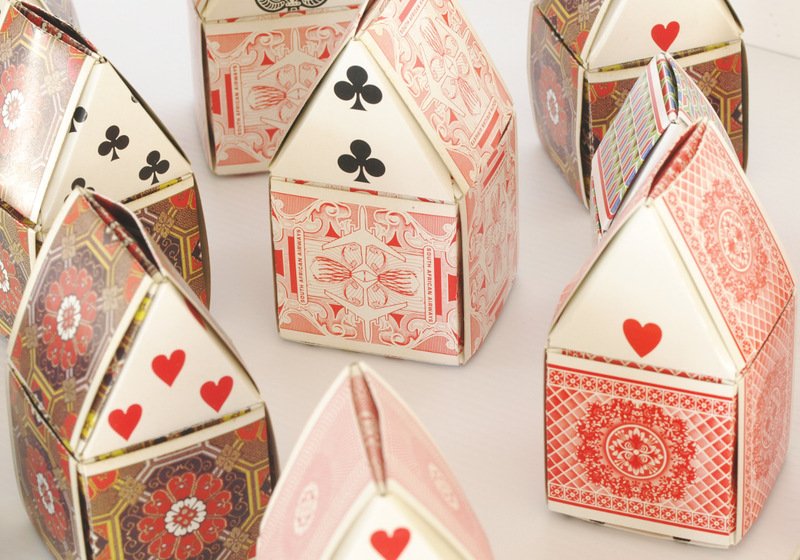 You need 21 playing cards to make a cute card house. 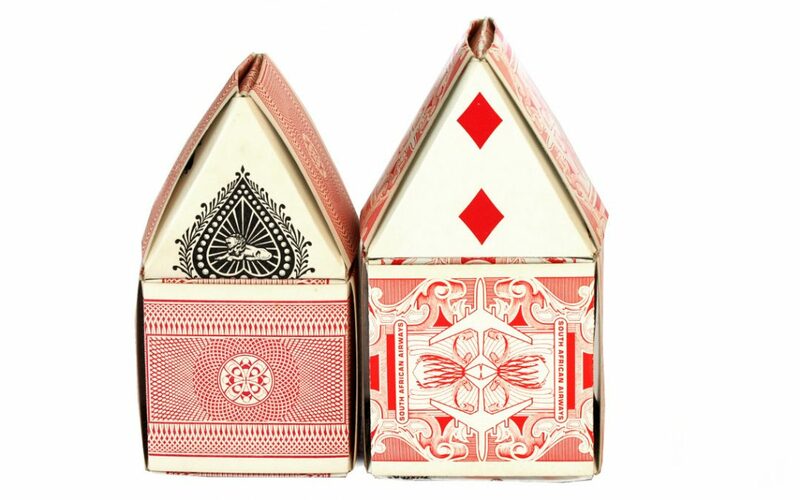 Its a great way to use up a pack with a missing or damaged card, You will be able to make 2 houses from 1 pack of cards. Its a delightful way to show off the beautiful circular symmetrical patterns often created for the backs of cards. Sourcing Cards: I hunted through my own stash. I also found second hand packs at my local SPCA and Hospice Charity Shops. Pattern – I usually allow the patterned side of the card to show. But you may like to use the numered side – and create colour or suite themes. Gable – Save a couple of cards that will make a good focal point. 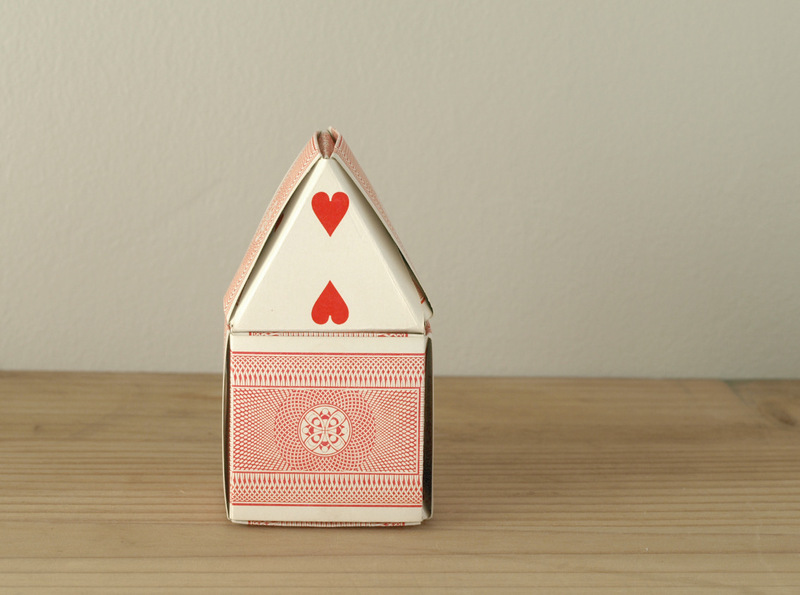 An ace of spades or 2 of diamonds or hearts make an attractive decorative gable. Variations – This technique can be used for other applications. 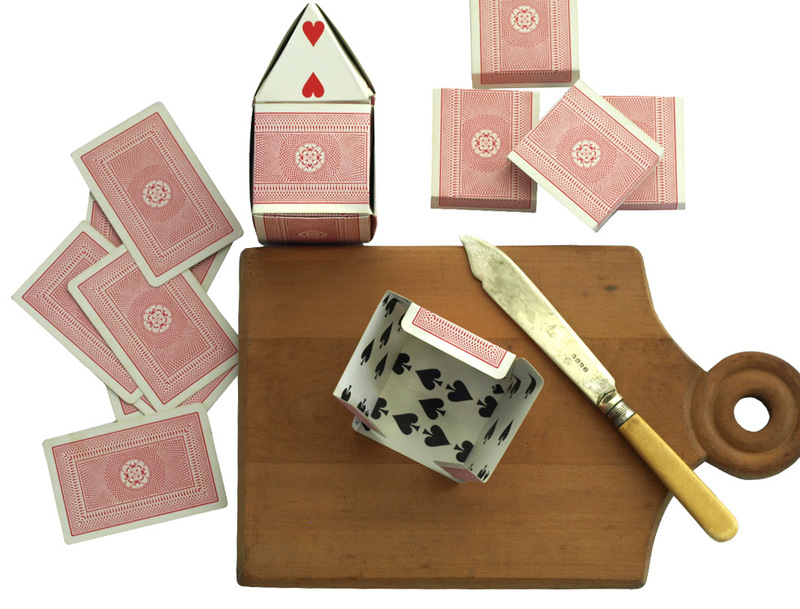 You may want to cut your own rectangular cards out of cardboard, or use old business or note cards. Follow the full How-To Instructions on the Video below. Then enjoy making a house or 2 or even a village of your own. Use them for year round to decorate a shelf or tablescape, or for tree decorations at Christmas time. They make great gifts too. Why not give one in place of a card for a special occasion. Visit the Freshly Found DIY section on the website for more inspiration and ideas to make yourself. Most of our crafts have an emphasis on recycling. Making the most of what you have on hand, or can easily access. Have a look here for Freshly Found paper craft tutorials in particular.